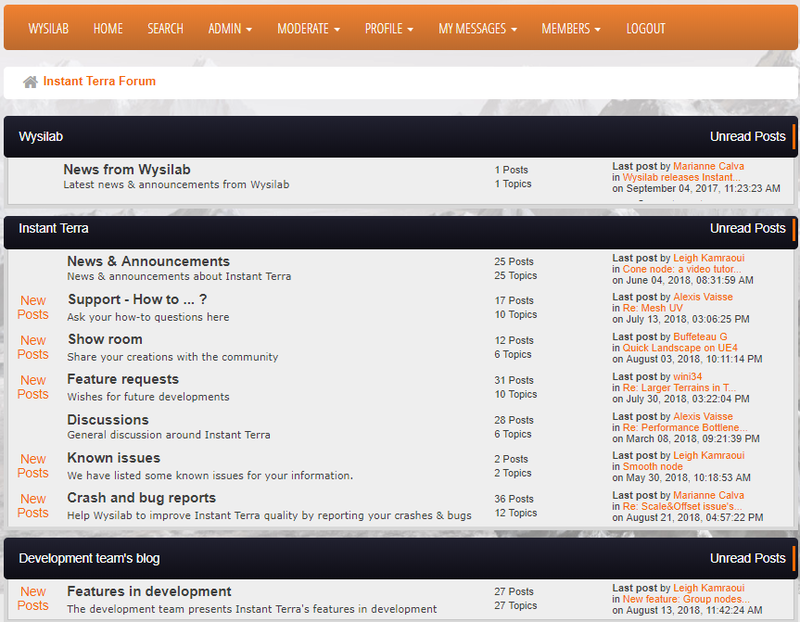 Our Forum is where you can find the latest news and announcements from Wysilab. Register and share your tests with Instant Terra, as some of you already have. We are sure that you can surprise us! 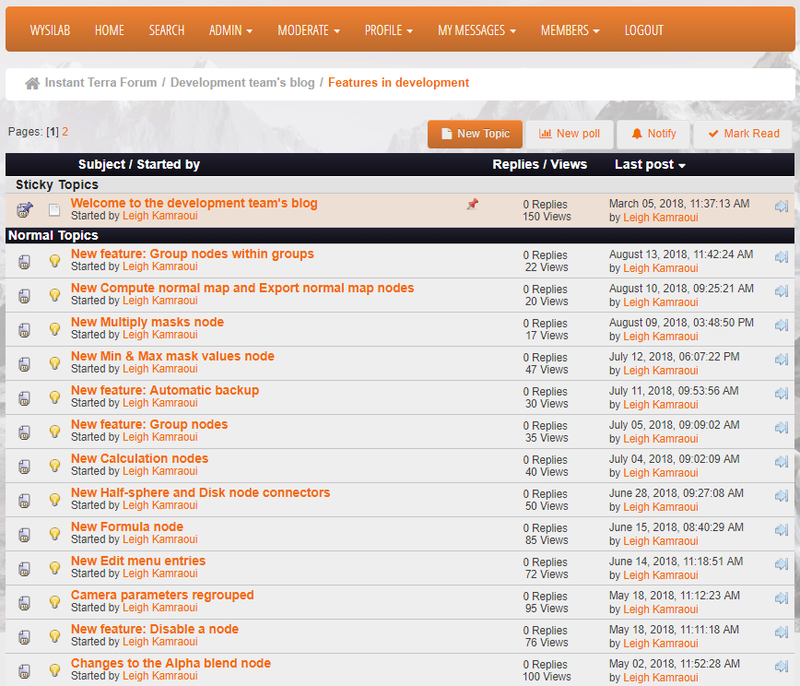 The Instant Terra Development Team's Blog is where you get a preview of the features in development or those that we will develop soon. Feel free to give your opinion in the comments.